Last December, I shared with you how calorie-burning and how fun the Skechers Go Walk event I attended with other blogging ladies. A few weeks after the event, I got an email from Martha Sta. 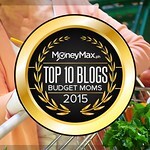 Barbara of the successful fashion and beauty blog called The Beauty Junkee. 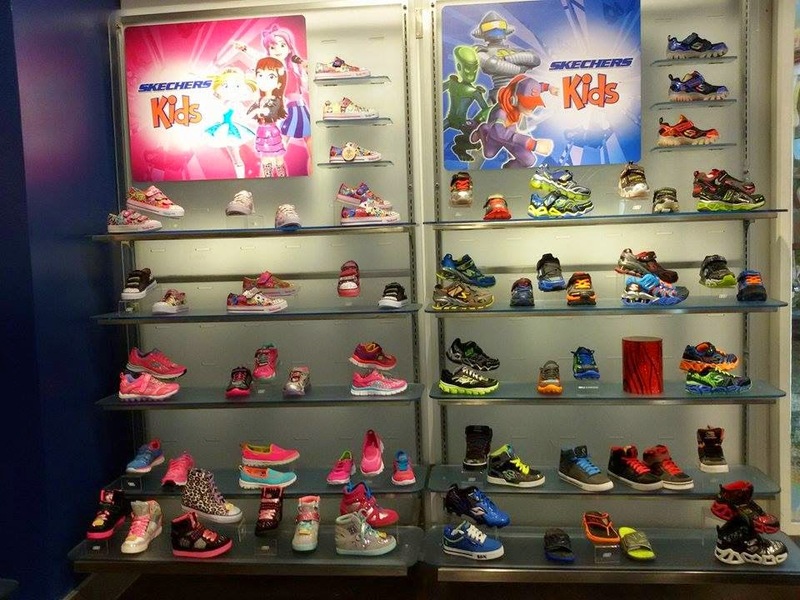 It said that Skechers is giving my child a free pair! 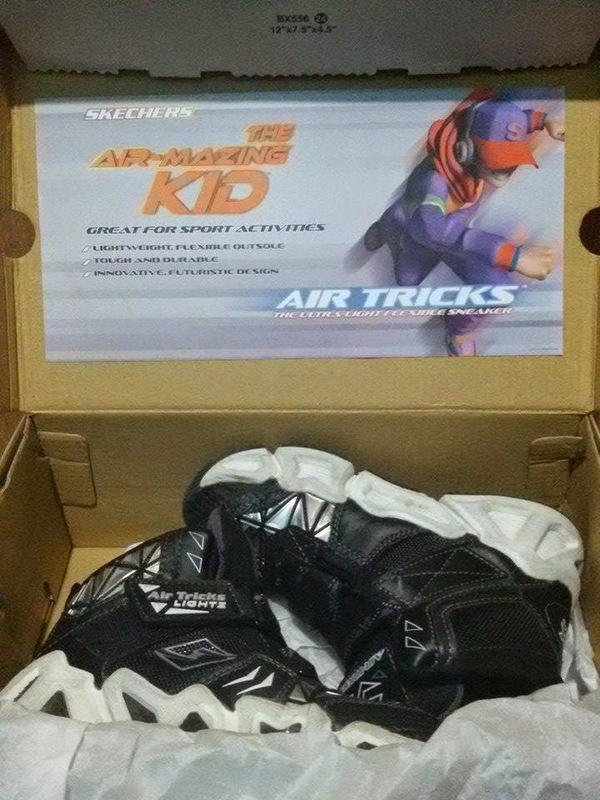 It was a blessing because I didn't have to buy my son new shoes for the holidays (as I was really planning to buy him a new pair!). Of course it was a thrilling news so off we went to Skechers Glorietta at the last working day before Christmas (yup, I also Christmas-rushed!). 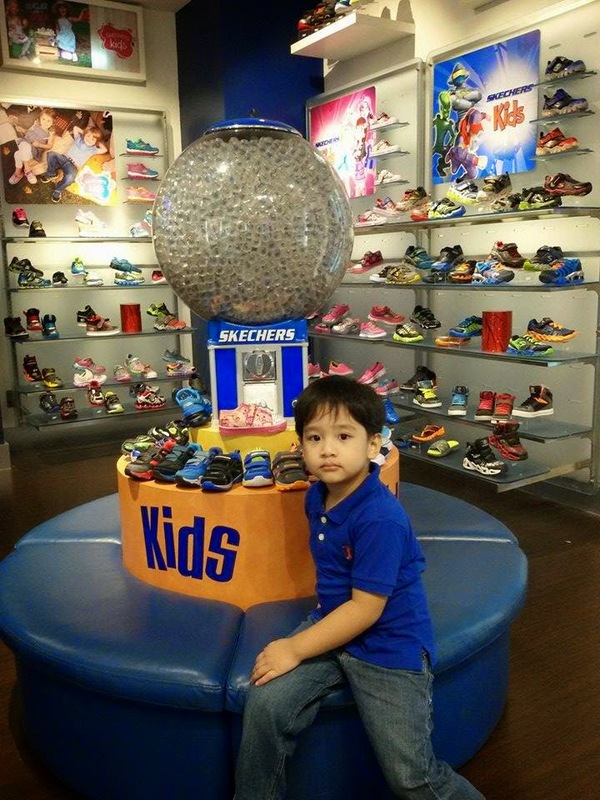 Surprisingly, like my Skechers GOWalk Shoes, they also have for kids (both boys and girls). They also have GORun (so cute!) 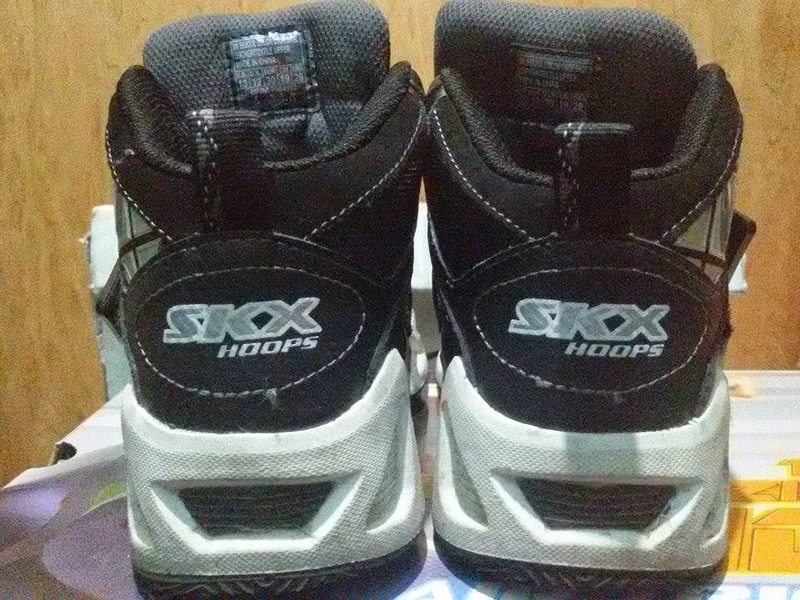 There are also shoes with Memory Foam and The SKX and Magiclites style. Because I liked loved my Skechers GOWalk, I chose this for Wes. 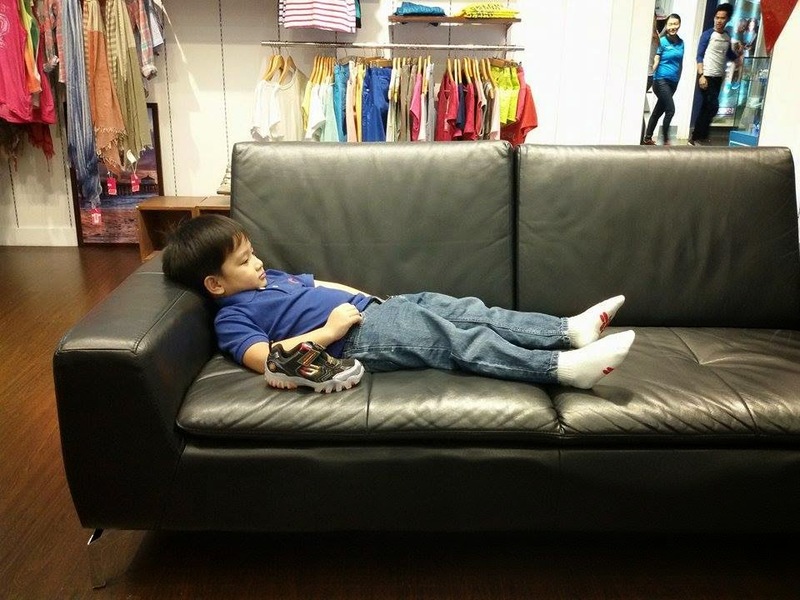 But still asked him what he wanted, because at four years old, he already knows what he want to wear. 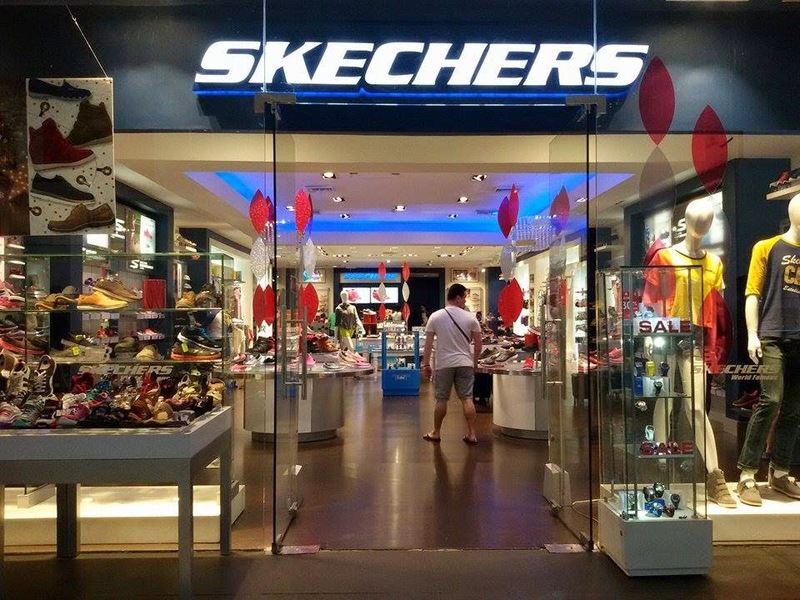 Here's a little story, it was opening time when we got to Skechers Glorietta, to ensure we don't end up having a hard time to get a ride home. 10 am is his usual nap time, so as you will see in the following pictures, he's already sleepy. 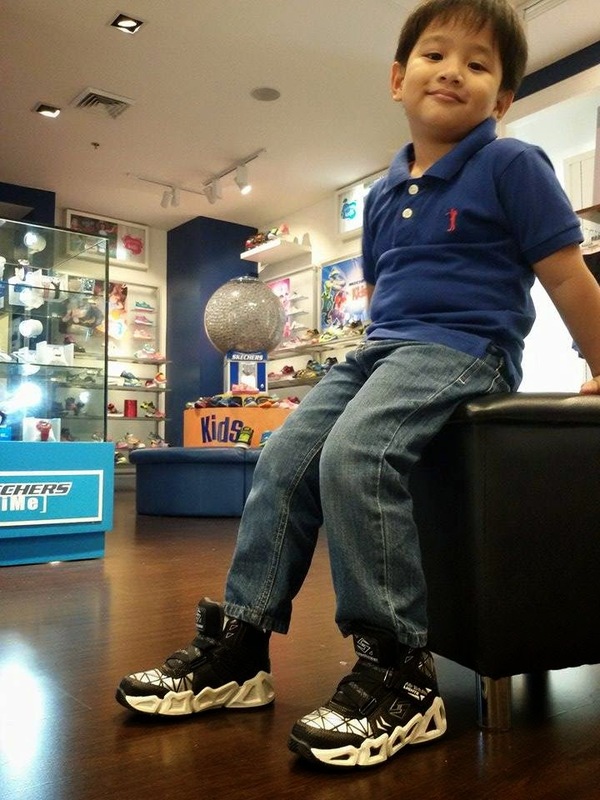 From among the SKX line, he chose the black and white SKX Hoops with lights too because he said, "Just like Kuya Dandre's shoes." 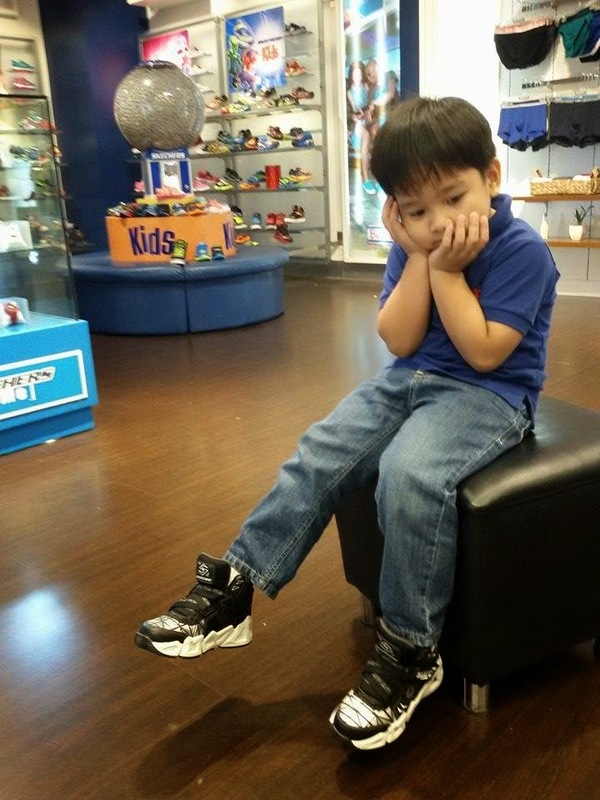 referring to his Kuya's basketball shoes. 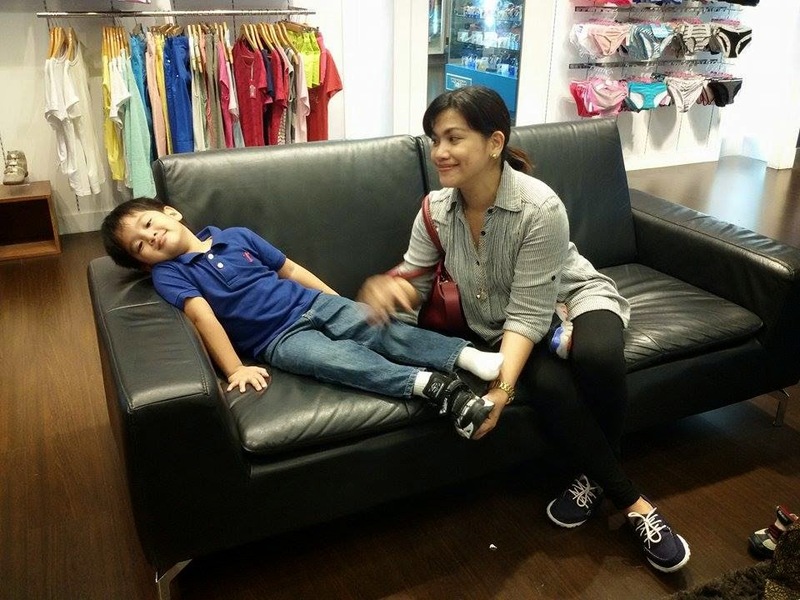 Before fitting, I had to ask him several times (need ko bolahin!) to try them. He finally wore what he chose for himself and posed for me! At first he was a little hesitant because he wanted to take a nap and sleep already. But he was game afterwards! 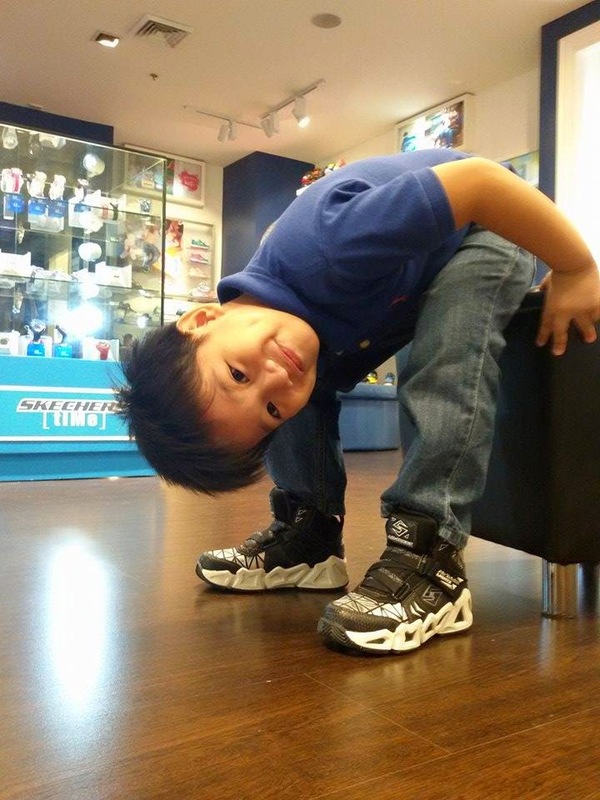 Up close, the shoes obviously are made of durable and quality materials which make any pair of Skechers for Kids a value for money purchase. 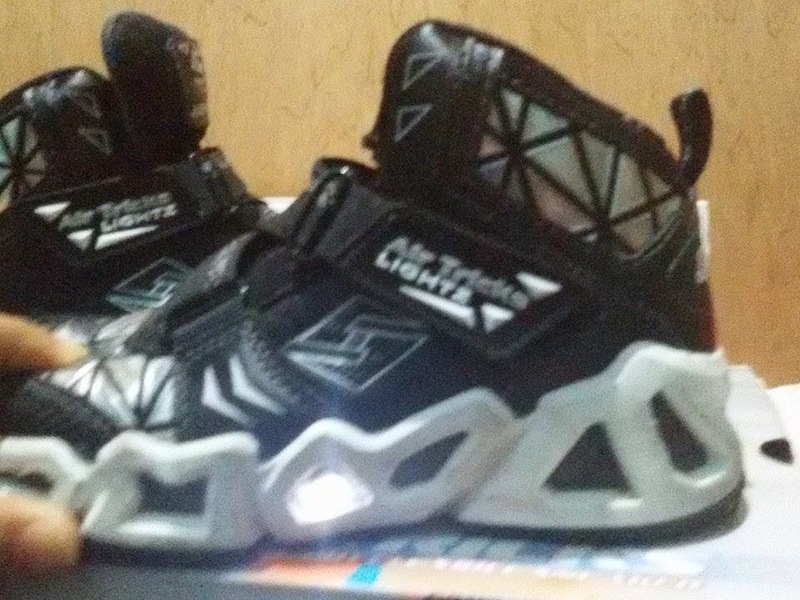 The one we chose was called The Skechers Air-Mazing Kid with Air-Tricks lights. It's perfect for any activities because it's lightweight, has a futuristic design (thanks to the combination of silver, white, black and the lights), and it's made of tough materials. When Wes walks, the shoes light up. That's why he likes walking with it in a dark room or he asks me to turn off the lights so he could see the lights coming from his cool shoes. 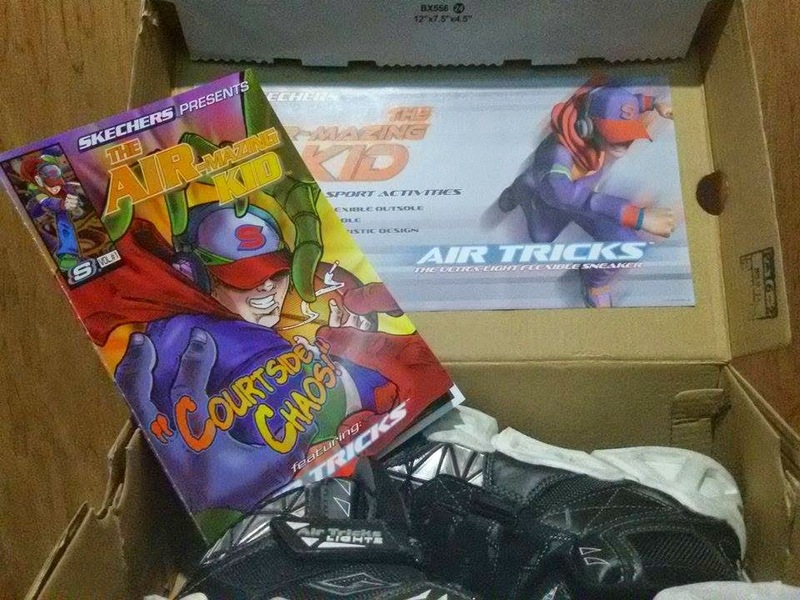 It came with a comic book about Air-Mazing Kid and his court side adventure. 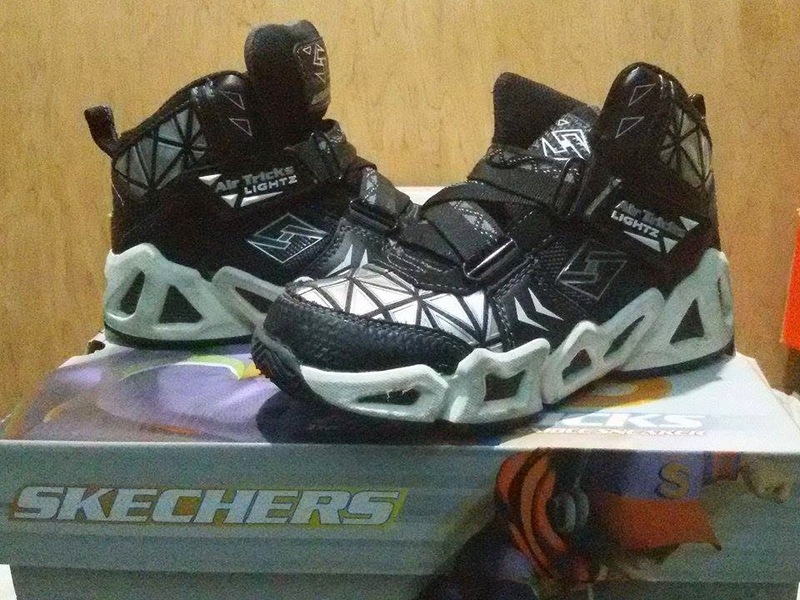 What I like with the pair of Skechers Kids Shoes we got are 1) It is made of quality materials. ; 2) With its Air Tricks Lightz, it's beyond are stylish for my Wessie. ; 3) The pair we got is comfortable. ; 4) It's and easy to wear or remove. ; 4) The shoes is versatile, could be for a day of running and other activities or could be worn for malling or parties. If you buy a pair, trust me, you wouldn't regret the purchase. 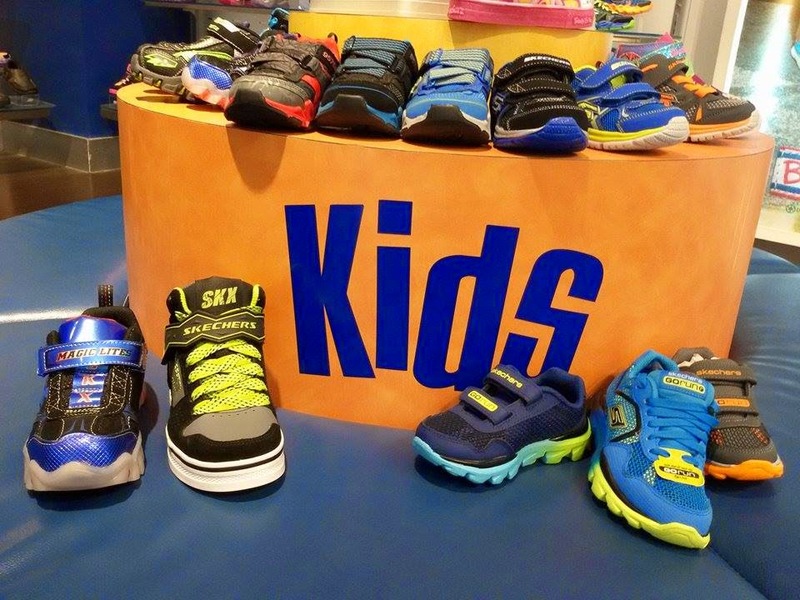 For more styles for your boys or girls and also for list of Skechers branches, you may follow Skechers Philippines on Facebook. Hello, I am not from Max's. Please call their Jupiter branch. Thank you. 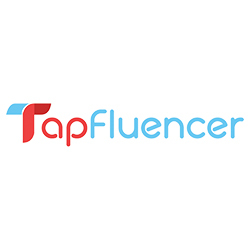 Thank you for posting your blog. 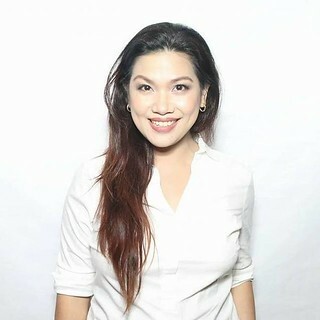 Max's Restaurant is one of the favorite venue for any occasions like birthday, baptismal reception and wedding because of they offer the best party packages. 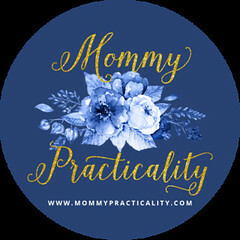 Choose the best packages for any occasion that suits your budget. Celebrating special occasion while serving their best Filipino foods creates good memory. I would like to ask kung food lang kasama without anything else kami nalang magdedesign and cakes and souvenirs how much? good day,,,mayrun po ba sa sm sanlazaro manila..saka pag standard lng wala po bng kasmang tarp saka cake? ?